Uniquely customized home with high end finishes throughout. This gorgeous 3 bed 2.5 bath South and East facing corner unit brings in an abundance of natural light and offers stunning unobstructed views from every room! Meticulous maintained home features; solid wood framed window seals & doors, cork floors & surround sound. Beautiful kitchen w/custom Leicht cabinets, stainless Miele appliances including a built in coffee system, Sub-Zero wine refrigerator & quartz countertops. Large en suite master w/walk-in closet & dual shades. 3rd bedroom currently used as an office with a built in desk, shelves & window seat overlooking Navy Pier. Beautiful sliding doors that open up to the living area. Tons of storage w/organizers in every closet. Miele W/D. Over 200 cu ft of private additional storage adjacent to the unit. Full amenity building; 24hr door staff, fitness center, pool & outdoor terrace w/grills. Fantastic location! 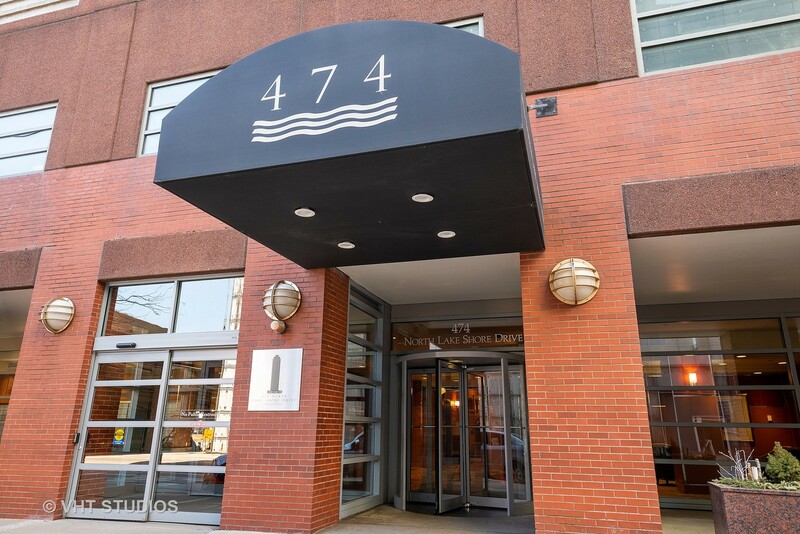 Prime deeded parking (addl $35k). Property information last modified by seller on Tuesday, April 02, 2019, 11:03 AM CDT. Information Deemed Reliable But Not Guaranteed. Unauthorized duplication, use, or linkage is prohibited. The information on this web site is for personal, non-commercial use and may not be used for any purpose other than to identify prospective properties consumers may be interested in purchasing. Monthly Payment Calculator results are for illustrative purposes only, not a financing opportunity; calculations assume a 30-year fixed-rate mortgage and do not include closing and other costs. Property Tax on NEW properties is estimated at 1.5% of Listing Price for payment calculation purposes; actual value may be higher or lower.